Star Wars Legendary Jedi Master Yoda is 51% off at Amazon (priced matched from Walmart where it is also this price right now)! I think kids and adults who are young at heart would love this! Star Wars fans will be so excited to unwrap this from under the tree! 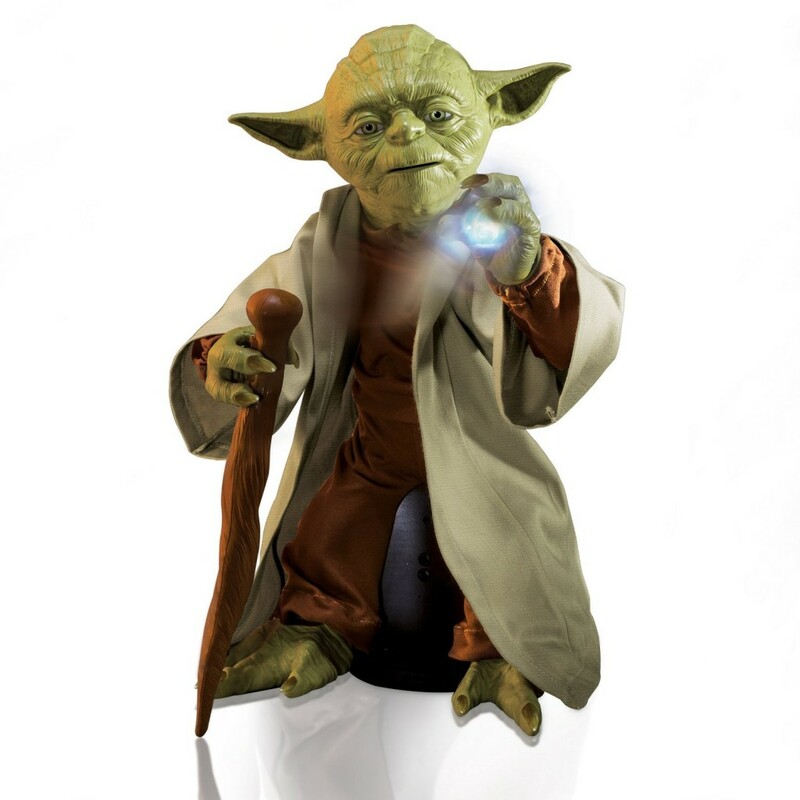 Yoda’s voice recognition makes him the most realistic Star Wars toy ever! He speaks 115 phrases that lead to Jedi Wisdom and Lightsaber mastery. Yoda’s realistic movements display unmatched Jedi Lightsaber skills; watch Yoda perform his signature 360 Lightsaber attack! Legendary Yoda is for Jedi’s aged 6+. 6 C batteries required. Batteries not included.